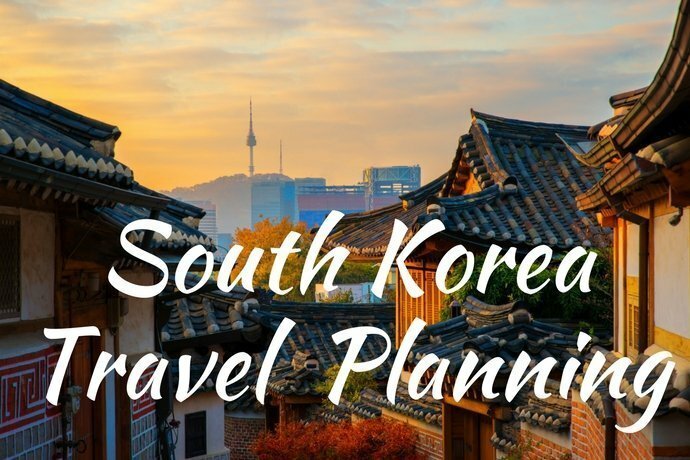 Welcome to the South Korea Travel Planning fortnightly newsletter for 27 January 2019, which includes information to help you plan your trip to South Korea, top travel deals and articles about South Korea. Subscribe below to receive our fortnightly newsletter which includes travel planning information for South Korea, latest deals as well as a selection of the most popular articles from the Facebook Group. Check out this great opportunity to attend a top level K-pop concert in Gangneung City, which includes entry tickets and return transfers from Seoul. Check out this awesome dessert festival in Seoul with a theme of ‘Chocolate & Strawberry’. Yum! Click here for more details. Klook has a great option to book a day tour to one of the Hwacheon, Cheongpyeong, Pyeongchang or Gapyeong Ice Fishing Festivals depending on the date you choose. You have a choice of shuttle bus only or a full day tour including shuttle bus, entry ticket, breakfast, fishing rod and stool rental. The Jeju Fire Festival is an annual event held in Jeju City. Click here for further details. 23 March 2019. Jindo Sea Parting Festival. Visit Jindo Island to watch the sea open up to reveal a 2.9km pathway from shore to island. You can walk all the way to Modo Island and take amazing photos. Additional activities include gathering abalones, watching performance and much more. This tour is available departing and returning from either Seoul or Busan. Click here to book through either Trazy or Klook. The amazing Garden of Morning Calm has an illumination festival running until 31 March 2019. Click here for further details. Featured South Korea Tours and Tickets – Spring Festivals! South Korea holds a multitude of spring festivals across the country. You may not be aware that South Korea is also a big cherry blossom destination! Here is the selection of the most popular options on offer. You can book some great packages through either Trazy or Klook which include transport to and from each event from either Seoul or Busan or both locations – check each tour carefully to confirm the departure and return points. March 2019. Gwangyang Maehwa & Gurye Sansuyu (Cherry Blossom and Plum Blossom) Festival. There are a selection of different tour packages available for the Gwangyang Maehwa and Gurye Sansuyu Cherry Blossom and Plum Blossom Festivals which are detailed below. Here is a link with further information about the festival experience. 12 & 15 March 2019. Gwangyang Maehwa & Gurye Sansuyu Flower Festival day tour from either Seoul or Busan. Click here to book through Trazy. 18 – 27 March 2019. Gwangyang Maehwa Flower Festival & Strawberry Picking day tour from Busan. Click here to book through Trazy. 8 – 15 March 2019. Gwangyang Maehwa Flower Festival & Jeonju Hanok Village day tour from Seoul. Click here to book through Trazy. 29 March – 7 April 2019. Jinhae Cherry Blossom Festival. The Jinhae Gunhangje Festival is Korea’s biggest spring festival which is located a short distance west from Busan which usually attracts around 2 million visitors! There are a few different day tour options as follows, all of them include visits to Jinhae, Yeojwacheon Stream and Gyeonghwa Station cherry blossom viewing areas, as well as a large selection of cultural shows and activities. Check out this article to see all of the different options on offer during the festival, and check out this article to read about the authors personal experience visiting the festival. One day Jinhae Cherry Blossom Festival tour from either Seoul or Busan. Click here to book through either Trazy (Seoul or Busan departure) or Klook (from Busan or Seoul). Evening Jinhae Cherry Blossom Festival tour from Busan, including Yeojwacheon Stream Starlight Festival. Available 28 March – 10 April 2019. Click here to book through either Trazy or Klook. Klook also has a separate tour option from Seoul using a tour bus where you can choose either a standard or VIP Package. Click here to check out the details and book through Klook. Over mid April will be peak cherry blossom season in Seoul. Klook has on offer a Cherry Blossom Chasing Day Tour for Seoul which includes visits to three cherry blossom locations and a traditional lunch. Click here to check out the details and book through Klook. 14 April – 12 May 2019. Taean Tulip Festival and Strawberry Farm. The Taean Tulip Festival is one of the top 5 tulip festivals in the world. This great tour enables you to visit the Taean Tulip Festival from Seoul, and also stop in to pick strawberries. Click here to read more about the Taean Tulip Festival. The Trazy tour option operates every day from 14 April to 12 May 2019. Click here to book through Trazy. The Klook tour option only operates every Tuesday, Friday and Sunday from 14 April to 12 May 2019, with the exception of not operating on 5 May 2019. Click here to book through Klook. 30 March – 8 April 2019. Gyeongju Cherry Blossom Festival. The Gyeongju Cherry Blossom Festival is one of the top cherry blossom festivals in South Korea, and is located one hour drive north from Busan. As well as exploring the lovely streets full of cherry blossoms, you can also enjoy traditional food and market stalls, as well as music performances, Korean arts and crafts. Trazy has two different tour options departing from either Seoul over 1-5 April 2019 or Busan from 30 March to 8 April 2019. Click here to book through Trazy from either Seoul or Busan. Klook has a day tour option from Busan only, which is available over 30 March to 8 April 2019. Click here to book through Klook from Busan. 13 & 15 April 2019. Ever Cherry Blossom Festival & Everland One Day Tour. Everland Theme Park also offers a great cherry blossom experience and festival close to Seoul – where you can also go on the rides and explore the theme park! Click here to book through Trazy. 2-6 May 2019. Boseong Green Tea Festival. The Boseong Green Tea Festival will be held over 2-6 May 2019. The Boseong Tea Plantation was listed on “31 Beautiful Sights on This Incredible Planet” by CNN! Learn everything you ever wanted to know about how green tea is made, and enjoy the festival performances. You can book this one day tour package from either Seoul or Busan for departures only on 3 May 2019. Click here to book through either Trazy (Seoul/Busan departure) or Klook (Seoul departure and Busan departure). To see a great range of popular purchase options through Voyagin to take advantage of this sale I suggest you check out the Voyagin Tours and Tickets for South Korea at this link – options include theme parks, shows, Discover Seoul Passes and much more! If you are reading this article you have probably already booked your flights to South Korea and are now entering the final stages of planning your trip. For some of you this may be three to six months before you fly out and for others you may be departing in less than a week. This stage gets very exciting as you draw closer and closer to your departure date. When we started the first version of this article (four weeks before flying to Seoul), our youngest child was so excited that he started a countdown on our family calendar. PS. If you have any questions you are welcome to ask questions in the South Korea Travel Planning Facebook Group. Disclaimer: This newsletter contains affiliate links. If you book after clicking on one of these links then we may receive a small commission at no extra cost to you.